Busting out of the gate at Sundance this past January, Panos Cosmatos' Mandy, starring Nicolas Cage, drew huge attention, especially, I suspect, from those who had disregarded Beyond the Black Rainbow, which was gorgeous and haunting in both spirit and visuals. And the passage of some eight years may have lowered expectations as well. 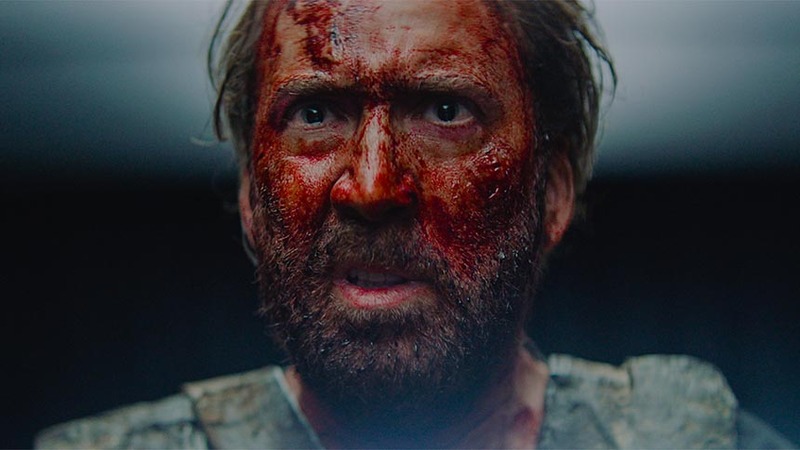 In its simplest terms, Mandy is a tale of horrible, well-deserved revenge wrought by the character embodied by Cage. Under the raw yet elegant direction of Cosmatos, working from a script he concocted with Aaron Stewart-Ahn and bolstered by the less-heralded Andrea Riseborough, the film becomes a reckless fever dream. In his review for Screen Anarchy, Noel Lawrence noted: "Mandy may prove divisive; some people will have trouble processing a genre film with Bergmanesque pacing. ... However, if you can get into the creator's headspace, then this film is a journey worth taking." Mandy is available to stream on Shudder exclusively starting today, November 29. Deceptively loose and casual, The World Is Yours (Le monde est à toi) is the most purely entertaining movie I've seen this fall. Karim Leklou stars as a drug-dealing middle manager who dreams of escaping his criminal lifestyle, buying a little dream home in North Africa, and spending the rest of his life operating an ice-treat stand (Mr. Freeze), perhaps in company with the lovely Oulaya Amamra, who is not quite sure. His plans are scotched by his own mother (Isabelle Adjani), a charming, lying, gambling, scheming con artist who is, indisputably, the Queen of the universe. When I saw it at a Fantastic Fest morning screening this past September, I suspect the rest of the audience in the small auditorium was just like me: sleepy and badly in need of coffee. Very quickly, however, we all woke up, and I've seldom shared such a sleepy, then surprise experience with fellow moviegoers. The World Is Yours, indeed. The World Is Yours will be available on Netflix as of Friday, November 30.